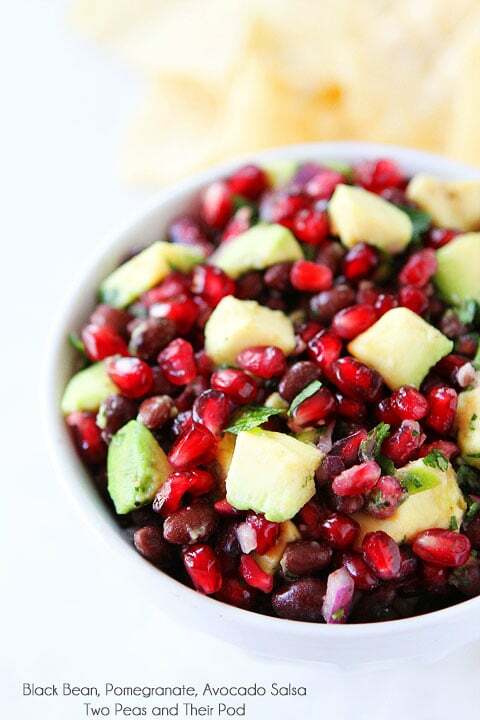 Black Bean, Pomegranate and Avocado Salsa-this simple and healthy salsa is perfect for holiday parties! 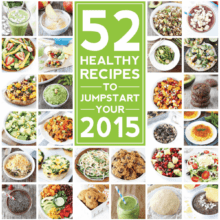 Are you looking for an easy recipe to serve at your holiday gathering this week? I’ve got you covered. 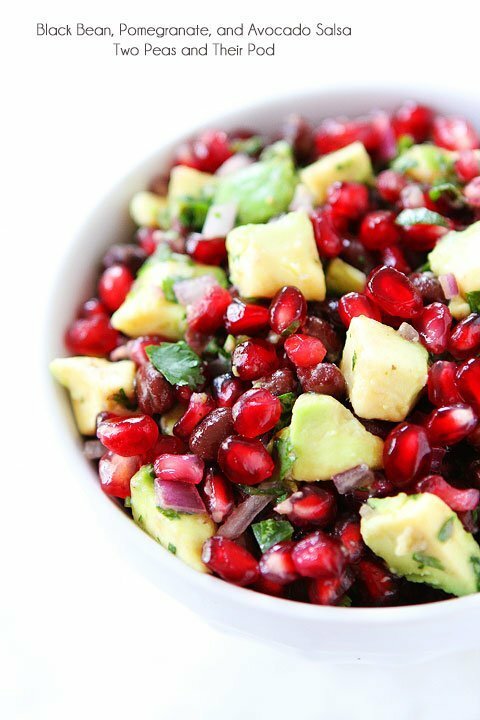 Make my Black Bean, Pomegranate, and Avocado Salsa recipe. It only takes 10 minutes tops to make and is always a huge hit! Chips and salsa are staples at our house, especially when we entertain. I like to mix things up by making different kinds of salsas and for the holidays I always make Black Bean, Pomegranate, and Avocado Salsa. 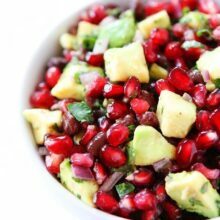 The ruby red pomegranate jewels add some major bling to the salsa and I love the juicy pop in every bite! And of course I stirred in some avocado. Avocado make everything better and you’ve gotta have some green to go with the red. This salsa is festive! 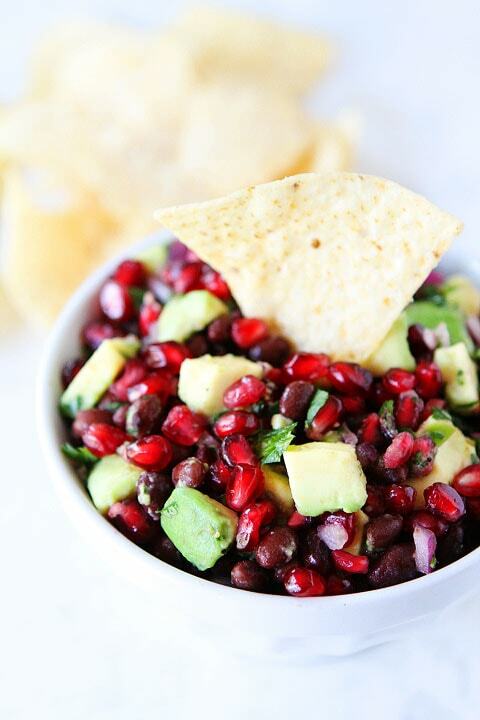 Make a bowl of Black Bean, Pomegranate, and Avocado Salsa to celebrate the season! It is the perfect party appetizer or snack! We are taking Wednesday off to celebrate Christmas with our family! My dad is visiting and he is making us his famous Cinnamon Rolls for Christmas brunch. I can’t wait! Merry Christmas to all who are celebrating! We hope you have a joyous holiday filled with love, laughter, peace…and of course delicious food! 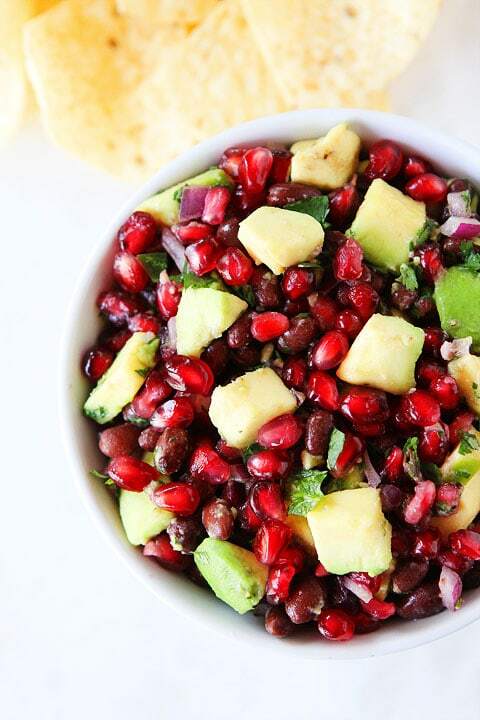 Black bean salsa with pomegranate arils and avocado! 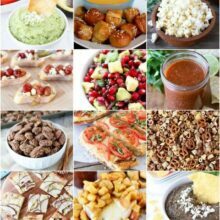 This festive salsa is perfect for holiday parties! In a medium bowl, combine black beans, pomegranate arils, jalapeño, onion, cilantro, avocado, lime juice, salt, and pepper. Gently stir. Serve with tortilla chips. This looks delicious and so pretty. I love pretty much anything with pomegranates in it. But how do you stop the avocado from going brown? And how long does it last? What a creative combo! Hmmm, I would never in a million years thought of black beans and pomegranate! I love the idea and it’s so festive! I can’t believe Christmas is in two days, crazy! Happy Holidays to you and your family! This is the most pimped out salsa I have ever seen! It’s so pretty and creative times 1000! My hubby requested appies for Christmas dinner and now I have a great addition..thanks girl! this looks great Maria and Merry Christmas!! This picture made me put down my coffee and sit up straight in my chair. My Christmas Eve menu was all set- but now I’m changing it! That looks amazing, and I know my family will love it. Thank you SO much!! So pretty Maria! Merry Christmas!! This is so festive! Love it! 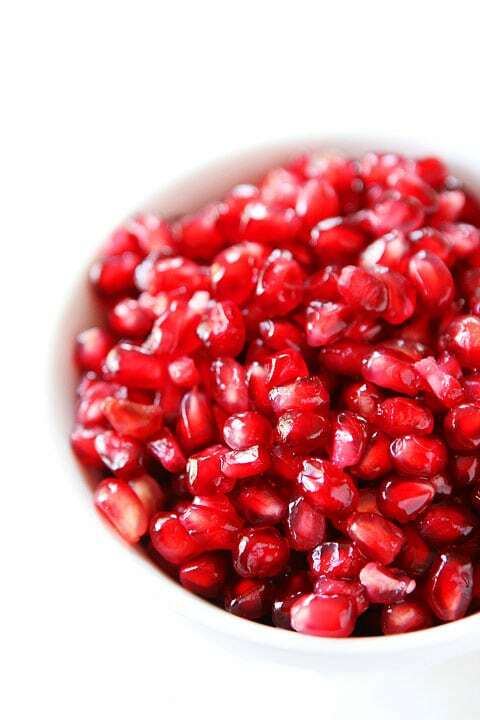 POMEGRANATE seeds make me pop! 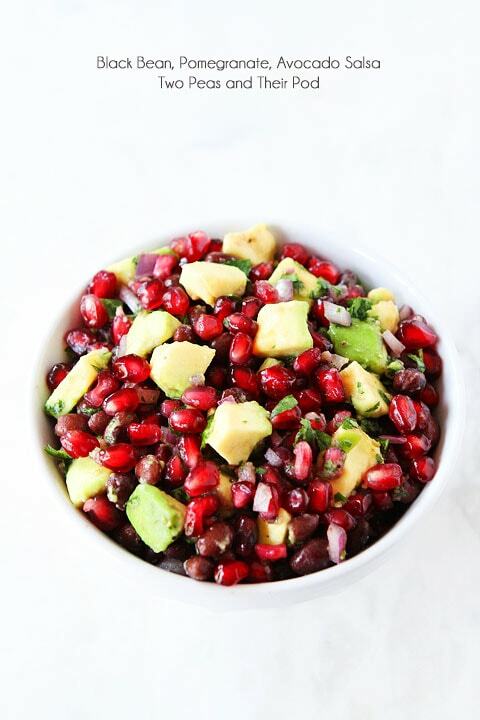 Avocado and Pomegranate would be such a great combo! I would eat this whole bowl!! This is one of my favorite salsas!! Merry Christmas!! Hope you guys have great one! This is so easy, festive, and has the most gorgeous colors! Merry Christmas to you and your family!! I just wanted to come back and tell you that I made this and it was a tremendous hit! People couldn’t stop eating it. I saved a little for myself and I’m eating it right now with pita chips. It was so nice to have a very healthy dish that was also so delicious and tempting. This will now be a staple at parties. Thank you SO much!! Awesome!! Was looking for feedback from someone who tried it! Cant wait! This was SO GOOD! I made it for Christmas AND for New Year’s Eve, and everyone loved it! Great recipe, thank you! This looks so absolutely delish! 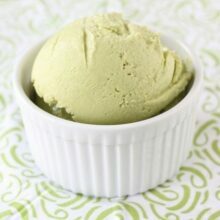 I love the flavor combo and know that my guests will as well! I actually made this salsa for new years eve to bring to a friend’s house. It was a huge hit! 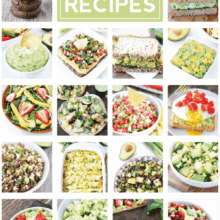 I love your recipes please keep them coming! I have made this so many times! The flavors meld together fantastically! Best recipe ever and I get begged from friends and family to make this every time we have a get-together! Thank you for the fabulous recipe! The first time that I made I left out the black beans and avocado and was left with a very refreshing salsa. This is a keeper recipe. So special for the holidays. I may use instead of cranberry sauce on Thanksgiving. Next time I will add the beans and avocado as an appetizer. I am sure it will also be delicious.